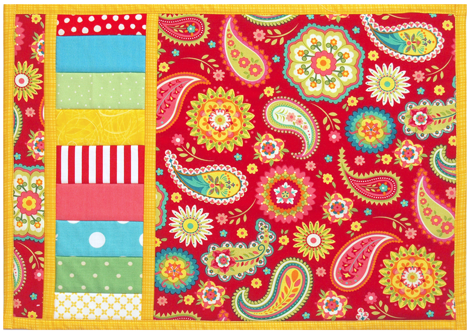 Stitch up a set of these sweet and simple placemats for any occasion. You'll love how quickly and easily they go together using the modified quilt-as-you-go technique and fold over self binding. They also make great gifts!